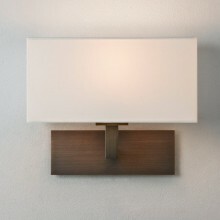 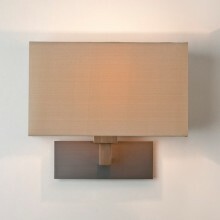 Sophisticated polished chrome wall light which will create a contemporary yet tranquil atmosphere where ever installed. 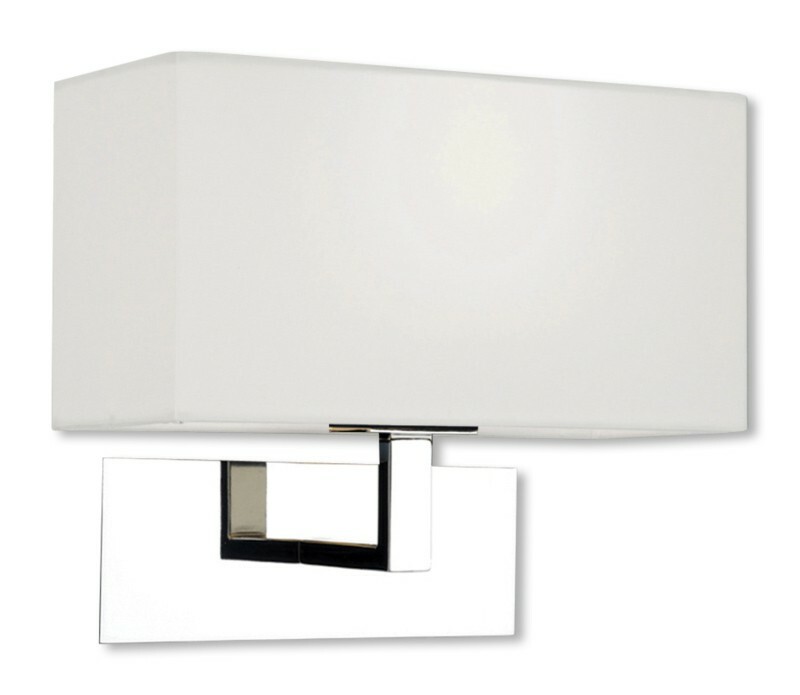 The stylish rectangular matt white fabric shade is cleverly contrasted by a supporting bracket of polished chrome, a combination which would work well in a number of different settings. 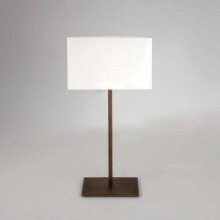 This beautiful light is also dimmable, ensuring that you control the strength and¬†amount of light required.¬†It would look wonderful in a living room, bedroom or other room of your choice.